The key to flavorful and tender salmon is to cook it medium-rare. Just quickly pan-sear the salmon on each side, then bake in the oven for a few minutes. It will come out moist and delicious. Salmon by itself is incredibly good for you, and these tasty fillets are stuffed with ingredients rich in essential fatty acids and omega-rich nutrients such as pecans, pecan oil, cream cheese, sweet basil, spinach and onion chives. To make the dish ultra fancy, I served the fish with a Hollandaise sauce, sautéed button mushrooms and wild rice. I figure that with all the healthy ingredients, a little decadence is deserved! For me, baked pasta is the ultimate comfort food. What could be better than pasta and spinach mixed with creamy béchamel sauce and smothered in melted cheese? 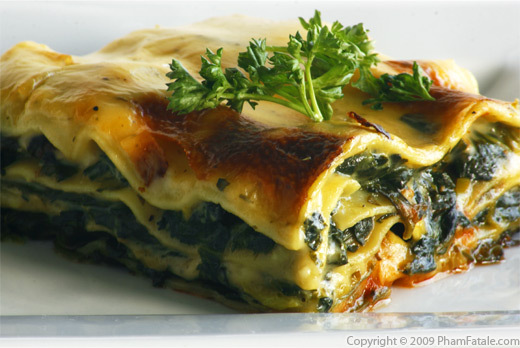 This dish is very similar to a spinach lasagna, but without the extra work of layering everything. A croquette is a moist filling that is breaded and then fried. Potatoes, seafood and vegetables are popular varieties. I wanted to make a healthy version today, so I stuffed mine with artichokes and spinach. I added some mozzarella as well because I love it when the croquettes are hot and stringy on the inside. The name "croquette" is from the French verb croquer which means "to bite with a crisp crunch". You can serve it as an appetizer (they are kid-friendly) but you can also stuff a sandwich with several croquettes for added texture and consistency. I used an herb ciabatta bread. I'll post the recipes of the spreads I used and the rest of the elements for the sandwich tomorrow. There are few dishes as synonymous with Indian cuisine as palak paneer . After tandoori chicken and naan (Indian round fluffy bread made of white flour), it's probably the most common item on menus at Indian restaurants. Variations of the dish are prepared all across the country. At the core, though, palak paneer is a very simple dish. 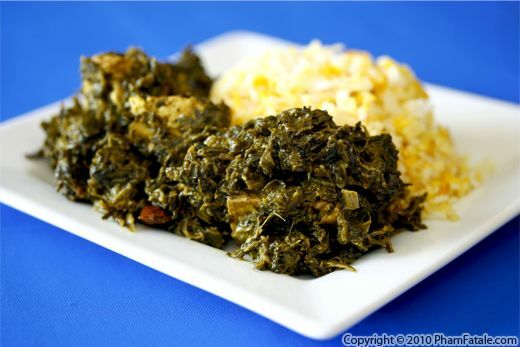 Spinach (or palak in Urdu) is cooked with a spicy cream mixture and studded with fried Indian farmer's cheese, called paneer. The cream is spiced with the same masala that is used in many other dishes. If you're new to Indian cuisine, this is a great introduction. You'll never go back to regular old cream spinach again.